The Moya Electric Adjustable Bed, is a Slatted Bed Straight and is finished in a Semi Gloss Silent Grey with Solid Oak Bevelled Tops. 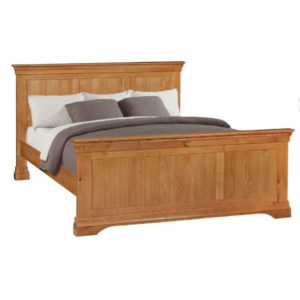 Scroll down, or Click Here for Full Price List of Moya Electric Adjustable Bed Range. The photo is of a Single Mechanism/Single Mattress 4ft 6in (Small Double Bed) Moya Electric Adjustable Bed. The Moya Electric Adjustable Bed range are also available in Extra Long Length for the Taller Person.Click here for more information. The 5ft & 6ft Moya are both Dual Beds, with 2 Adjustable Mechanisms, and 2 Mattresses, for independent movement. The Moya Electrical Adjustable Bed is also available in a Curved Head and Foot Board style. The Moya Wooden Electric Adjustable Bed , is a Slatted Bed Straight and is finished in a Semi Gloss Silent Grey with Solid Oak Bevelled Tops. 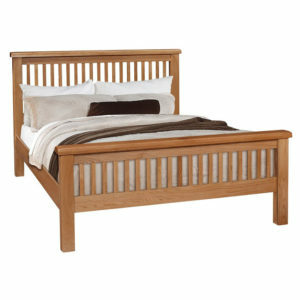 The Moya adjustable bed mechanism is manufactured to the highest quality German standards, and has a 5 year guarantee. The Moya Electric Adjustable Bed is suitable for a High-Low/Vertical Lift/Carer’s Bed Mechanism, which makes it far easier for Carer’s to get easy access to their clients. The Moya Electrical Adjustable Bed is available in a Curved Head and Foot Board style. Colour: Semi Gloss Silent Grey.